As more men, women, and children enjoy the sport of fishing, the options for spinning reels has increased. 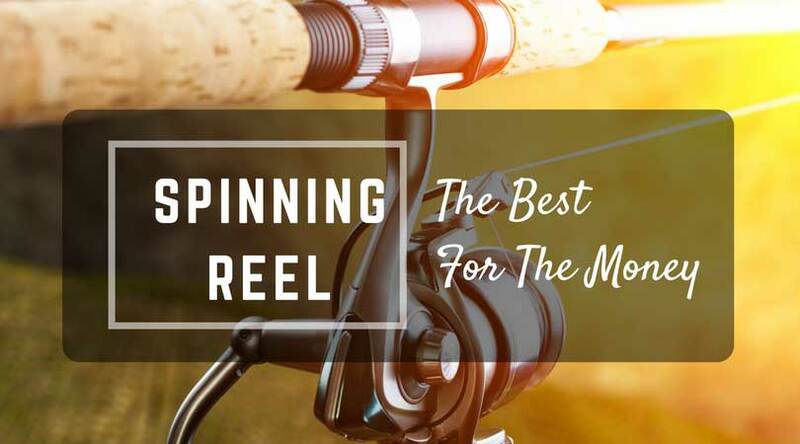 Owning the best spinning reel for the money is a sure-fire way to make your fishing experience more successful and certainly more fun. Shopping for the best spinning reel involves more than trial and error. 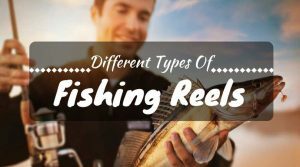 There are plenty of features and specifications that make spinning reels good for the needs of different fishermen. We have gone through the task of vetting out the top reels on the market today. These are excellent choices for anglers who are first-time anglers or long-time veterans. We looked not only at price, but durability, and the ease of use. We also looked the size of each reel and how the gear ratio and drag systems affect the spin. Some reels might seem like they are too expensive for what they do, but in most cases, they do what they do better than any other reel. If you think that the cheapest reel at the store will do, you will be sorely disappointed when the line gets tangled and you have no way to catch anything. A top-notch spinning reel should be considered an investment. Whether graphite or aluminum or a composite, the housing needs to be strong and light. Graphite is lightweight and more flexible when compared to aluminum, which is a bit stronger than graphite. Anglers need to decide if weight or strength is more important to them. Where you fish can also determine the housing that will work best for you: aluminum will corrode in saltwater, graphite will not. The housing itself should be solid and everything should move smoothly. 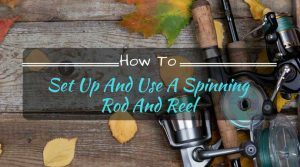 Since spinning reels do have a significant number of working parts inside of the housing, it is important that nothing rattles. When you are ready to purchase a new reel, all you need to know is what size line you plan to use. If you are going to use a lightweight line, then you need a small reel. The heavier the line, the bigger the reel. If you are using a line that tests between 6 and 10, then a medium reel is the best option. Most reels will give suggested line weights. Spinning reels have a bail that keeps the line on the spool. The gear ratio is how many times the bail moves around the spool as the handle of the reel is spun. A gear ratio of 5:1 means that the bail spins around the spool five times for each handle turn. 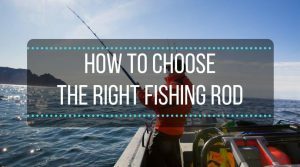 There are high, medium, and low gear ratios and they make a difference based on the type of fishing you do. The 5:1 ratio is a medium speed that is a good one for general fishing. Along with the gear ratio, the drag system is a feature that should be thoughtfully considered. The drag system is used when hooking the fish and reeling it in. With a smooth drag, the line will not break. Smooth is the key word, whether reeling in the fish or letting out the line. Drags can be front or rear based. The rear-drag models are easy to use, but not with big fish. Front-drag is more durable than rear-drag. To get the spool to spin and the handle to turn, ball bearings are necessary and stainless steel bearings are preferred. Engineering has proven that the more ball bearings there are, the smoother the reel will be. The best reels will have at least four ball bearings. Along with the right type and number of ball bearings, an anti-reverse handle is also a necessity. This will keep the handle from spinning in the opposite direction. This keeps the hook and line right where they need to be. The Pflueger President Spinning has a smooth drag and is lightweight. 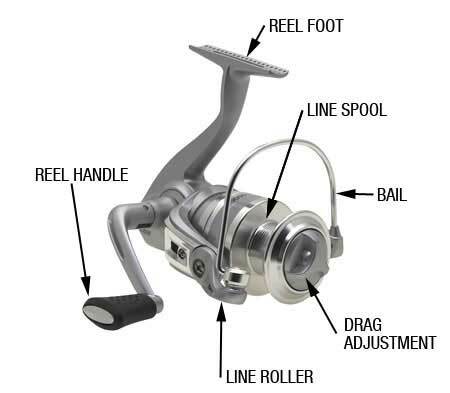 The body of the reel is made of graphite and reinforced with a stainless steel main shaft. The reel includes nine stainless steel ball bearings, making it one of the smoothest options on the market. One of the ball bearings is an anti-reverse bearing, so you do not have to worry about the line shifting on you. The spool is made of machined and double-anodized aluminum with a coated spool lip and line roller. The bail wire is made of solid aluminum and it has Pflueger’s signature Sure-Click Bail so you can hear when it is working. The knob of the Pflueger President has a soft-touch feature and it can be adjusted for right handed and left handed anglers. 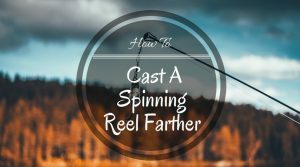 This reel is easy to use in most fishing situations. 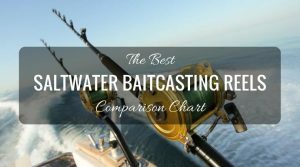 Although it is not rated for saltwater, many anglers have successfully used it in saltwater and freshwater. This spinning reel has been praised by rookie and veteran anglers as well as all experience levels in between. Okuma creates spinning reels that are practically works of art. The Ceymar Lightweight Spinning Reel includes all of the features that make Okuma’s a popular choice for professional anglers. This reel is small in size, but not in ability. It has forged aluminum arms with EVA knobs. The precision gear system uses an elliptical style for durability. And, it includes eight bearings, one of which is an anti-reverse quick-set bearing, making the Ceymar one of the smoothest spinning reels on the market today. 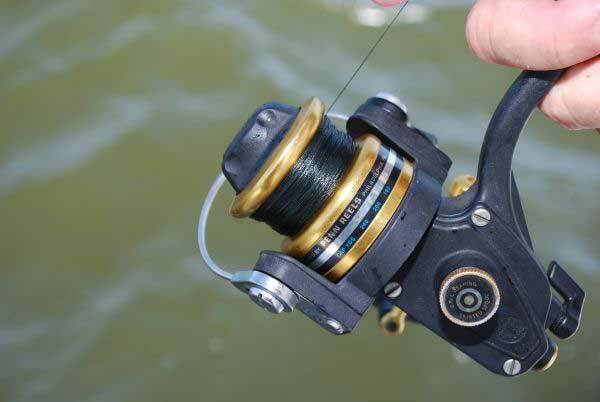 The reel has a blade body style that has a rotor that is perfectly balanced. The result is a compact reel that is designed to handle whatever gets hooked on the line. The bail wire is made of durable, solid aluminum. To keep the reel as light as possible, the spool is made of two-tone anodized machined aluminum. The pinion gear is precisely made with cut brass. The graphite body is resistant to corrosion and reel includes an oild felt drag system with multiple disks. The unique design of the body encourages you to fish more and to experience less fatigue. And, to make the product even better, it comes with a one-year manufacturer’s warranty. Shimano is one of the most recognized and respected names in fishing gear. The Stradic CI4+ stands for Carbon Interfusion. The number 4 is the electron number for the carbon atom. The plus refers to the reinforced carbon fiber used in making this high-end lightweight, but ultra-strong reel. It is stronger than the Shimano XT-7 and the CI4. It is completely free of metal, so it will not rust. Since it is made from high tech materials, Shimano is able meet precise tolerances during the design process. The reel includes several desirable features. First, it has one of the lightest frames on the market with its sideplate and rotor construction. It has a propulsion line management system with a propulsion spool lip to prevent snags in the line. The bail wire is a one-piece system with a power roller and redesigned bail trip with an s-arm cam. The line uses Shimano’s Aero Wrap II Oscillation. The spool and handle are machined aluminum. The handle has a round EVA grip. The reel can be used in saltwater without any problems and it is rated to use with mono, fluorocarbon, and powerpro lines. Like the Shimano Stradic CI4+, the Penn Spinfisher V is rated for saltwater and freshwater. This reel is loved by anglers who appreciate its smooth drag and ability to reel in large fish. 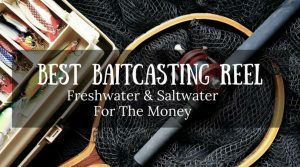 The reel is designed to be completely water tight for surf fishing, so absolutely no saltwater will get inside of it and do damage to the precisely designed interior parts. The Slammer Drag System is completely sealed and includes three HT-100 washers to keep the spin as smooth as possible. The housing has a full metal body with a sideplate that keeps the gears perfectly aligned. The Penn Spinfisher does come with standard, bail-free, and Live Liner models. The spool is made of anodized, machined aluminum. It includes five stainless steel ball bearings and an instant anti-reverse, too. The handle can be reversed to left-handed and right-handed anglers can enjoy the precision of this reel. The reel is heavier than the Shimano CI4+, but it is designed for fishing in more challenging conditions. The Okuma Trio Spinning Reel is a favorite of professional anglers all over the world. The body is made of aluminum and graphite, making it lightweight and durable. It includes eight ball bearings and one reverse ball bearing that are all made of stainless steel to keep the drag smooth in all situations. Okuma uses its Precision Dual Force Drag System to maximize the drag pressure at the highest end while keeping the line smooth and the bail moving efficiently. The reel has been tested to show reliability and quality against other reels of similar design. The spool is made with graphite and paired with an aluminum lip to prevent the line from getting tangled. It is easy to set the roller bearing to anti-reverse. The standard EVA knob makes it easy to reel in even the most agile fish. The Trio is designed to be extremely lightweight, so it is perfect for new anglers and those who spend all day on the water. Despite the lightweight design, it is durable and strong. The reel is designed to be used in freshwater and in inshore saltwater expeditions. Those who have used the Okuma Trio on a regular basis comment on how fun the reel is to use. It is water tight, so the spool and other interior parts will not corrode. 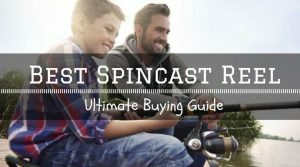 You cannot go wrong choosing any of these four highly recommended spinning reels. They are designed for freshwater and saltwater fishing. With lightweight, durable, and precisely finished parts, the smooth drag will keep fish on the line, even in choppy conditions. Each reel has different features that make them desirable to anglers of all experiences. Those who love a lightweight and smooth reel will appreciate the Okuma Trio. Anglers who like a high-tech reel made with the newest features and materials will love the lightweight Shimano Stradic CI4+. Anglers who love getting out on the big water and need a heavier reel will enjoy fishing with the Penn Spinfisher. Finally, the Pflueger has the tools necessary to help the rookie angler learn the tricks of the trade. We appreciate that you trust our judgment on the necessary tools to make fishing enjoyable and successful. We would love to hear your experiences with these spinning reels so we can share them with our readers and customers. Fishing is an unforgettable experience, just like Robert Altman once said, “I love fishing. You put that line in the water and you don’t know what’s on the other end. Your imagination is under there.” When you use one of our highly recommended spinning reels, your imagination can go wild with all of the fish you are going catch. I appreciate the info. I really want to try the shimano. I have had nothing but good luck with them. I am in the market for something super sweet. This stradic- looks like the boss. Need a super sensitive rod to pair up with it. 7 ft. Something? I considered the CI4+ but went with a Stradic FK 2500. I may get the CI4+ later, but a lot of online reviews said save the money and go with the FK. I fish local Florida ponds with open water. Sometimes I’ll hit lily pad ponds. I love my 2500 on a G Loomis E6X 6’6″ stick. 10lb Trilene XL casts weightless senko’s like a dream. I have been using my old Mitchell 300 for years. I don’t always catch fish but I still love the this old classic.